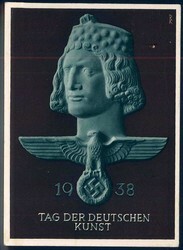 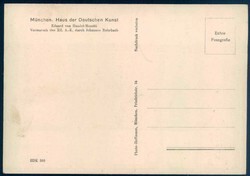 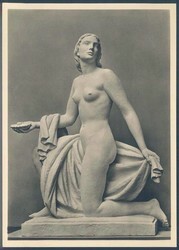 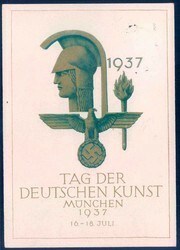 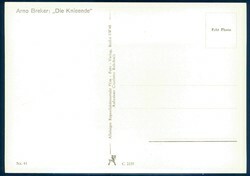 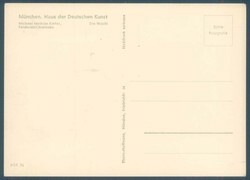 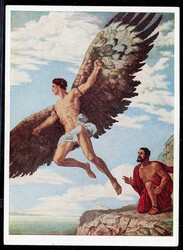 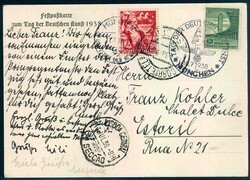 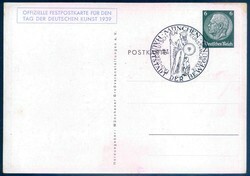 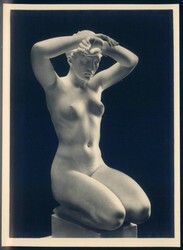 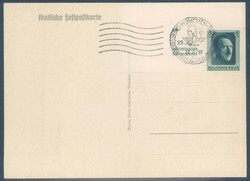 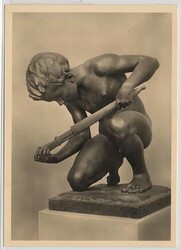 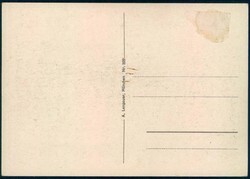 Celebratory postcard "Tag der deutschen Kunst 1938", real used with special cancellation. 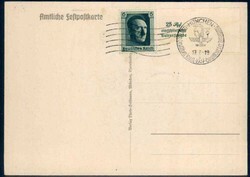 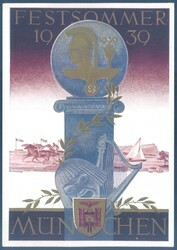 Munich, 1939, festival summer, artist drawn card, signed by: Gottfried Klein, with special cancellation. 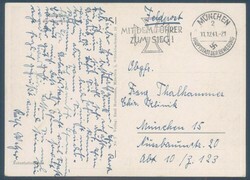 "München. 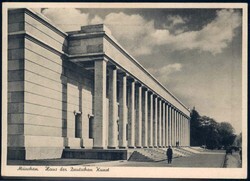 Haus der Deutschen Kunst - Paul Scheurle - Najade" Photo Hoffmann picture postcard no. 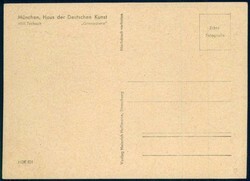 HDK 544, unused. 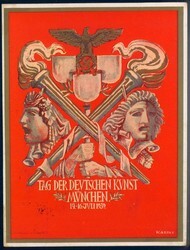 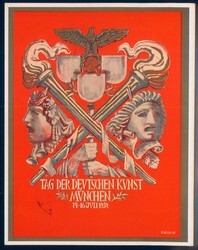 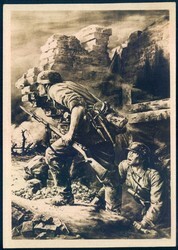 House of German Art- "Vormarsch des XII. 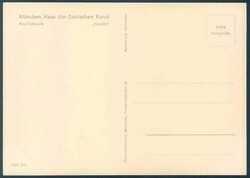 A.-K. durch Johannes Rohrbach" by Eduard von Handel-Mazetti. 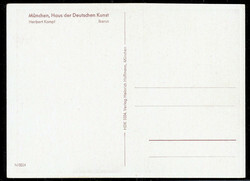 Publisher: Photo-Hoffmann HDK 369. 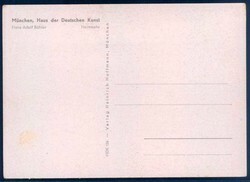 Unused. 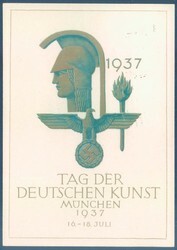 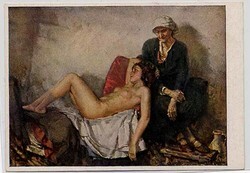 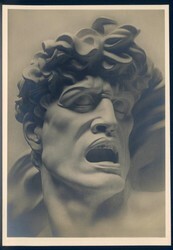 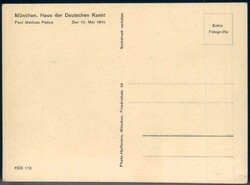 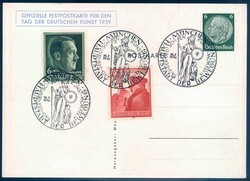 Munich, 1937, Day of German Arts, artist drawn card, signed by: Richard Klein, with special cancellation. 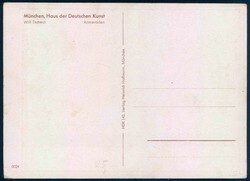 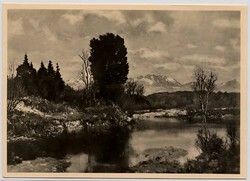 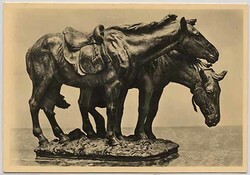 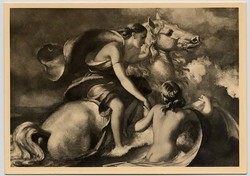 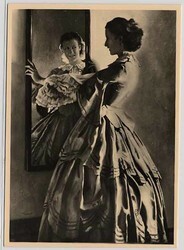 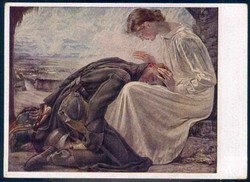 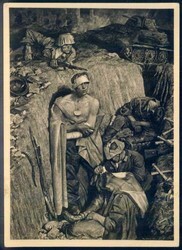 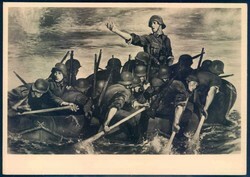 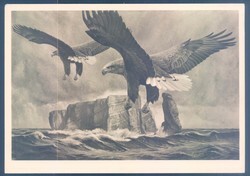 Artist drawn card, signed by: Michael Mathias Kiefer, Haus der Deutschen Kunst (house of German arts), "Die Wacht", issued by: Photo Hoffmann, HDK No 86, unused. 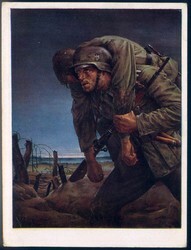 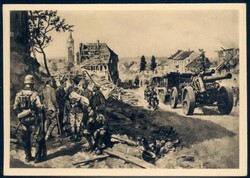 Munich, 1941, artist drawn card, field postcard, issued by: Emil Hartmann, No 7, real used. 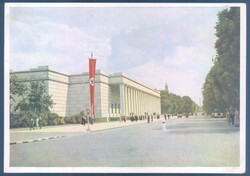 "Haus der Deutschen Kunst". 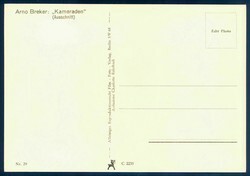 Publisher: A. Lengauer Nr. 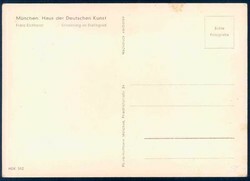 325. 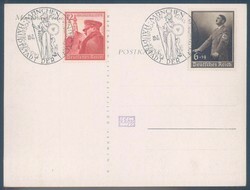 Unused with demolished stamp.